Please find below a list of weekly donations that we ask you to make over the upcoming weeks. Your very generous donations will then be used to make raffles, prizes, lolly bags, etc for our event. As an added incentive each individual donation will receive a House Token, as a token of our appreciation. If you don’t want to make a weekly donation you’re more than welcome to make a $20 donation and we will do the shopping on your behalf. Secondly please give some thought as to whether or not you can help out on the day by looking after a stall for an hour or two. We will let you know when the roster is drawn up and would really appreciate your help. 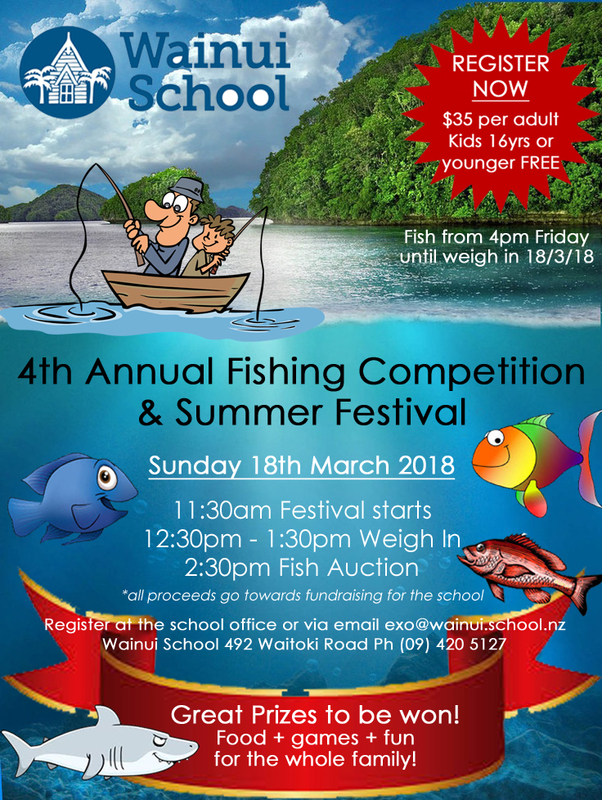 Also, we’re looking for sponsors for our stalls and prizes for the event, so if you have a business that you would like to promote please contact your friendly Friends of Wainui School committee at fows@gmail.com. 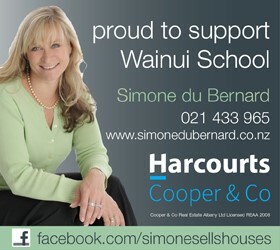 PLEASE PLACE YOUR DONATIONS IN THE FLEXI-BUCKET IN THE OFFICE. THANKS SO MUCH! 6 weeks to Fishing Competition 5-9 February Bag of lollies for prizes and raffles. 5 weeks to Fishing Competition 12-16 February Bar of chocolate for the chucko choc game. 4 weeks to Fishing Competition 19-23 February Toy for prizes tent. 3 weeks to Fishing Competition 26 February-2 March Grocery items for raffles. Toy for lucky dip wrapped and marked “B” for boy or “G” for girl eg $2 shop toy. Collect a cake box from the office and fill with homemade sweets, cakes or muffins.